BJD-led government came in for sharp criticism during a meeting organised to commemorate the death anniversary of former MLA Trinath Sahu. The BJD-led government came in for sharp criticism on Monday during a prayer meeting organised to commemorate the third death anniversary of former MLA Trinath Sahu. 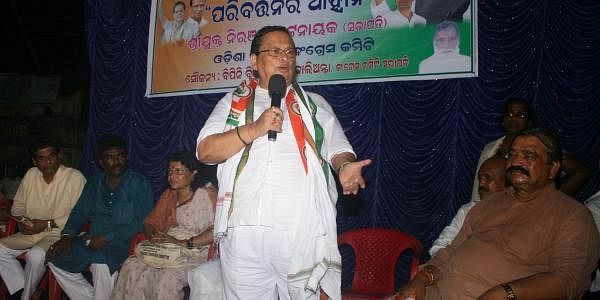 Addressing a huge gathering, Odisha Pradesh Congress Committee (OPCC) president Niranjan Patnaik said the “scam-ridden” State Government had failed on all fronts. “In the last 12 years of the BJD rule, the State has become more backward,” he alleged. The Congress leader said it had become a habit with the Chief Minister to accuse the Centre of neglecting Odisha. Citing an example, the OPCC president said in each kg of rice that is provided to the BPL card holder at Rs 2-a-kg, the Central Government was giving a subsidy of Rs 16. “The State Government is extending just Rs 4. This is a clear indication that the scheme has been a success because of the Centre’s contribution,” he said. Accusing the BJD of misleading the people, Patnaik urged them to bring about a change in Odisha. Speaking on the occasion, former Union minister Chandra Sekhar Sahu said almost every scheme that has been implemented in the State in the field of health, agriculture, and communication has been funded by the UPA government. The speakers flayed the government for neglecting the backward and tribal-dominated Gajapati district.